Are you thinking about living in a caravan on site? If you are considering living in a caravan on site while you self build have a read about our experience and some of the lessons we learned along the way. While planning the build of our current home, we decided to live in a static caravan on site. We would be project managing our build and completing several sections of the work ourselves and decided that as well as the cost saving, a caravan would be an ideal solution for our accommodation. Preferring to save our money for our new house, we parted with the Princely sum of £1250 for our temporary home. In static caravan terms this amounted to a 25-year-old, 10m x 3m, two-tone green and beige static with single glazing, one tiny gas fire and glorious 70’s pub interior! With Winter fast approaching, the model was aptly named ‘Algarve’… it was love at first sight! Our new home was delivered one balmy September afternoon and as darkness fell, we didn’t have time to position it correctly or connect any services, so we spent our first night in candlelight…. 20 degrees from horizontal, eating take out pizza and toasting our new adventure with a luke-warm beer. It was several days before we managed to get the services and drainage connected and in the meantime we became familiar faces at the local supermarkets, gyms and swimming pools as we found imaginative solutions for our bathroom needs. Finally, in position and fully functional “The Algarve” began its faithful service providing us with a home, site office and store room throughout our build. We settled into caravan life and soon realised it would bring us a little closer to nature. The incessant dawn tap dancing of birds on the tin roof became our early morning wake up call and we spent many a terrified night being violently buffeted to sleep by gale force winds, peeping out from the bed covers and hoping that our 100 year old Beech tree (complete with TPO!) wouldn’t join us in bed. Then there was Winter! Ah! Crisp frosty mornings, the dull crump of footsteps in blankets of fresh fluffy snow and long dark biting winter nights. Where would you rather be than tucked up in bed protected by one of nature’s great insulators… aluminium! Oh, and at least 3mm of polystyrene! It was during these long Winter months that we discovered our van had it’s own indoor water feature. Condensation would form and trickle down the walls, occasionally freezing mid-dribble. Getting into bed was an experience that will stay with us forever. Once in bed and in position, movement had to be kept to an absolute minimum. Even the slightest wriggle exposed you to damp bed linen colder than the North face of the Eiger. We spent an awful lot of time cuddling. Mainly to survive! One snowy morning we awoke to the soothing sound of running water. Not our condensation water feature on overdrive as you might expect but the freezing temperatures had burst all the copper pipe work below the caravan. The next day was spent beneath the ‘Algarve’ in a freezing mud bath replacing ruptured pipes. A dose of flu wasn’t far behind! As Winter progressed, we learned to adapt. Investing in a dehumidifier to keep the condensation at bay and a surprise parcel of electric blankets from our parents was one of the most welcome gifts we have ever received. We went from dreading the plunge into the icy depths of bed to eagerly anticipating the next opportunity to flip the switch and slip into our new tropical oasis. Winter eased into Spring and with the warmer days, caravan living came into it’s own. Our build progressed and caravan life took on a holiday feel, doors could be left open and the barbeque came out. 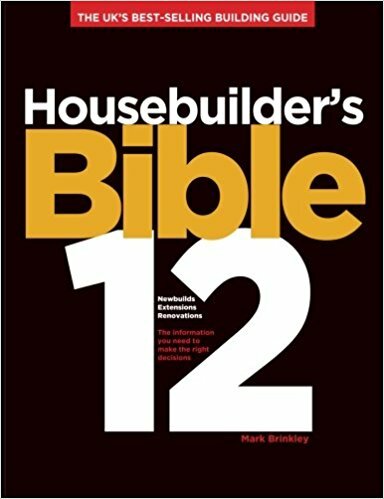 The convenience of living on site was terrific, allowing us to work on the house ’til all hours. We didn’t need to be too precious about it either, any dirt or dust we traipsed into the van could easily be tidied up, in fact it only took 5 minutes to clean the whole thing from end to end! Our build progressed and we eventually moved into the partially completed house. Our trusty Algarve was now sitting where the new garage belonged and it was time to go. It had deteriorated a little over the previous months and was looking a bit sorry for itself. It was peppered with splats of mortar, had a layer of fresh moss growing on the roof and was partially buried by backfill. It would peep up at us in our shiny new house longing for the good old days when it was useful, filled with people and happy. We wouldn’t let it down! Well, let’s say a form of glory!! It posed for photos and we listed it on eBay. All that was left to do was keep our fingers crossed and hope for a good home. The bidding ended and contrary to popular belief, we had several interested parties resulting in a series of bids and a winner. The Algarve was on the brink of a new adventure. Not as a highways site office or construction welfare hut as one might expect but as the elevated status of a holiday park caravan!…. In Lithuania no less! The buyer would have to pay more to get it there than he did to buy it! The Algarve was going travelling, off to see the world. To spend its days lapping up the vibes of happy holiday makers. It would be happy. As you can probably tell, we got quite attached to our little van and although at times we were a bit cold and uncomfortable, on the whole, they were some of the most fun times we’ve ever had. It was a great experience and we’d definitely do it again. Maybe with central heating and double glazing next time! Here are a few recommendations if you think caravan life may be for you. Inform the planning department of your intention to live in a static caravan on site while you build. You may need to pay council tax. We paid the lowest band. Plan your services connections well in advance. You can use LPG for cooking and heating. Ensure you can get insurance cover for your caravan and contents. 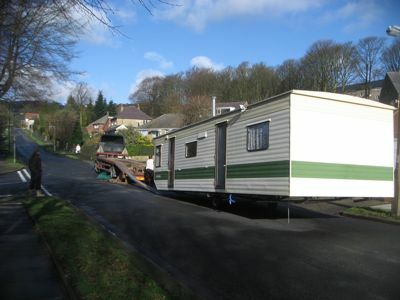 A Self Build Insurance package will usually have options for site caravans. Don’t buy the first one you see. Have a look at a few even if you go back to the first one. Holiday parks sell caravans after they reach a certain age. Make sure you ask about transport and set up costs and if they are included in the price. Prior to delivery of your new home/site hut, beg, borrow or pay for some off-cut blocks of wood from a local timber yard. Get whoever delivers the caravan to position it as close to its final position as possible or even ask if they’ll set it up for you. Jack the axle up and chock underneath it using your newly acquired wood off cuts. Level the caravan width ways by chocking under the axle then level lengthways with the support legs and wood blocks beneath to spread the load. You can prevent some heat losses if you board the gap between the caravan and the ground to prevent the wind passing below and whipping away the warmth. Lay some hard standing outside the doorways. Get a Gas Safe registered engineer to check the gas pipes and appliances after delivery, as movement is likely during transit. Find local facilities for luxury showering. We joined a gym. If it’s going to freeze hard, turn off the water supply, open taps and bleed the pipes. It’s a hassle but less so than having to replace an armful of burst pipes. Electric blankets. Brilliant! Enough said. Keep your clothes within reach of the bed. You can put them on before you get out! Switch your fan heater on before leaving the relative warmth of your bed. Buy a dehumidifier to battle condensation in the colder months. If you have neighbours close by. 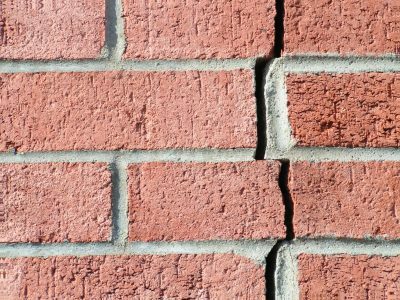 Bear in mind that your caravan walls have the sound insulation of a piece of tissue paper! Keep a spare LPG bottle so you aren’t stuck when one runs out. Wrap insulation around the regulator on the LPG bottles to prevent them freezing. Buy a squeegee for condensation management. Put up some smoke alarms just to be on the safe side. 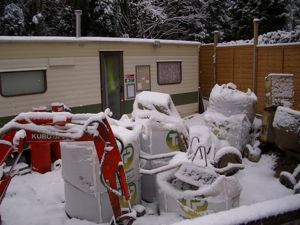 Although it was difficult at times, living in a caravan on site was great fun and very handy for working on our build. It didn’t deter our friends from coming to stay and we had many happy evenings entertaining. Having moved to a new area it also proved an excellent ice-breaker. Our new neighbours took great pleasure in teasing us about our existence but were very welcoming and quick to offer use of their own kitchens, bathrooms and anything else we should ever need. Many thanks to them….they know who they are!! !